Living with any kind of debilitating disease can be extremely stressful and Parkinson’s disease is no exception. For a person who was previously performing all routine activities by self, becoming reliant on family members for carrying out even basic functions can certainly be depressing and frustrating. Constant tremors, body stiffness and impaired balance do not just impose a blow on the physical abilities of a person but also psychologically afflict an individual. Hence, coping with the condition can often be a challenge for the patient as well as family members. Be sure to seek medical help at the earliest. Follow the right course of treatment to avoid complications later. Feel free to clarify doubts related to symptoms, treatment options, medicines, side-effects and prognosis, from your doctor. Being informed about every aspect of your disease can prove very helpful. Apart from seeking information from the doctor, one can also browse credible web sources on Parkinson’s such as http://www.parkinsonssocietyindia.com/ and http://www.parkinsonsdiseaseindia.com/ for better understanding of the disorder. Isolating yourself and brooding over the problems alone can worsen health. Instead, discuss your worries and concerns with people close to you. This will not only elevate your mood but you will also realize the number of people willing to offer support. Whilst living with Parkinson’s disease can be tough, caring for a patient suffering from Parkinson’s too can be a daunting and exhausting task. Since Parkinson’s is a chronic and progressive disorder it inflicts significant emotional distress on caregivers. 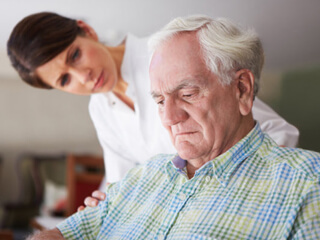 Therefore, adopting effective coping strategies is also crucial for a caregiver. Be realistic and understand what you can do and what you cannot to help the patient. It is important to realize that you can only take care and support the patient but cannot cure his or her problem. Taking sole responsibility of the patient’s health can put you under too much pressure. If other family members live together then allocate responsibilities to each one in order to simplify things. Do not make the patient completely dependent on you, unless otherwise required. Depending upon the severity of symptoms, allow the patient to carry out activities which can be managed on his or her own. This will not only boost the patient’s confidence but will also help you to have extra time for other activities. Organize your daily routine. By performing routine activities in an organized manner you will be equipped to handle stress more effectively. Take out time for yourself. It is essential to indulge in pleasant activities from time to time in order to relax the clogged and weary mind. Watch a positive movie, spend time with friends or do anything that you love to alleviate stress. Share your feelings. Venting your anxieties and worries to people close to you has a calming effect on the disquiet mind. But make sure you do so with people who are optimists and not pessimists. Regularly follow mind relaxation techniques such as yoga, guided meditation and controlled breathing. Do not neglect your health as caring for a Parkinson’s patient can be taxing for your own body and mind. Moreover, if you wish to provide long-term support to your loved one, you need to be careful about your own well-being as well. So rejuvenate your mind and body with healthy meals, adequate sleep, exercise and positive thinking.